**Editor's Note: This is the sixth of 12 Dandy Dozen Seniors I am releasing which will be done each Friday. They will be AT RANDOM until the top two are released. You can see a schedule of which number will be released HERE. No. 3 will be released next week. 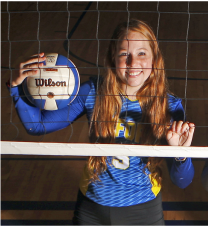 ​Here is another key athlete that has been important to the Volleyball program. While she would like to spend some of her Saturdays field side watching and cheering her father lead the Ole Miss Football team to victory, normally she is inside the gym keeping points alive for the Oxford Volleyball team. ​Ragan Freeze plays the libero position. Like I mentioned a couple years ago, libero literally means "free" in Italian. In Volleyball, the libero can freely sub without having to stop the game in between points. The libero can only sub for a back-row player in the rotation and can only do so for two spots on the rotation and can serve for one of the two spots. They also must wear a jersey different from the rest of the players (like a goalkeeper does for soccer). Freeze, unlike her younger sister Jordan, is short. So playing on the front row is not a benefit. That's what helps her gain the libero position because it is just for back row players. Because she spent more time in the back row than anyone else, it is no surprise she led the team in digs last year with 374. When her sister is unable to set the ball up, Ragan is the one doing so, thus she finished second on the team in assists with 40 among those that played at least 25 sets during the season. Ragan along with Maggee Hobson will lead this very experienced Volleyball team this year to hopefully deeper than the second round of the playoffs this season. Oxford is closing in on 20 years since they last won a Volleyball state title, and it was one of the first ones ever earned. The Lowdown: For the first time in school history, the Oxford Girls Soccer team have made it to the State Championship match. This leaves just Softball has the only sport Oxford has that hasn't made it to a title game or series. Oxford is looking for their 58th State Title and the first one ever for Girls Soccer. This is the team that can certainly do it. Oxford has scored 120 goals so far and haven't been shutout all season. In 22 matches this season, the West Harrison Lady 'Canes have allowed just 12, the best ratio in 5A. Four of those 12 have come against 6A Brandon who is 22-0 and ranked second in the nation. They have scored 63 themselves, however 18 came against two bad teams. They have been shutout five times offensively, of which two have gone to ties. Of all the defensive teams Oxford has come across in the playoffs, this will (obviously) be the hardest to score on. Of all the teams Oxford has faced as a defense, this might be the easiest to stop. 45 goals in the other 20 matches is a ratio of 2.25 goals a game, the second-worst ratio behind Vicksburg this team has faced in the playoffs. West Harrison relies a lot on their defense to win games. This appears to be an opportunistic offense with a stone wall on the defensive side. Oxford threatens to score with several different players that have scored at least seven goals and three that are in double-figures. The Lady 'Canes have two players that score but not a lot after that. Like Germantown before them, this team doesn't do that well against teams that can score AND defend. Their schedule wasn't all that great either. Only Brandon was the real competition. Even the team West Harrison beat to reach this game had a sub-.500 record. Oxford's path to this game was definitely harder having to get past Germantown who had just one loss before their season ended, Saltillo who they faced three times and had lost to them their first meeting. During the regular season, they also faced Lafayette twice (at their place both times) and the team Lafayette had to beat to reach the 4A Title game Richland - also on the road. Lets not forget Northwest Rankin - ALSO on the road and also fought tooth and nail in the 6A North Half title match - and Oxford managed to even get a win. To say the least, Oxford is better prepared for the 5A Title game than their opponent. Will the result of Saturday's match equal what it is on paper? Well, that is why they play the game. You can expect though Madison Central will be rocking with Oxford fans coming on down (maybe so when Football travels down there next year). For Oxford to Win the Championship, They Must: Use Their Team Speed - Oxford has forwards that can outrun defenses. What has given other teams fits on defense is that speed. 120 goals is no accident. That stat is second in the state behind Lafayette's opponent West Lauderdale. Create Many Offensive Opportunities - Oxford loves the counter attack. A good reason why Oxford has scored a lot is that they can flip the field in a heartbeat. Win with Speed on Defense - Oxford likes to use their speed to their advantage, and that was how the Lady Chargers was able to (literally) run away from Saltillo Wednesday night. Take Advantage of Opportunities - Oxford's defense is as good as anybody in 5A. With WH scoring just over two goals a game against inferior defenses, scoring may get hard for the Hurricanes. Weather: 53*F and Mostly Sunny (no chance of rain). Winds from the North at 4-7 MPH. Temps to move to the upper-40s by the end of the match. Other Notes: Morgan O'Connor broke the school record for goals scored in a single season with 26 goals scored, breaking the 25 held by Virginia Terry. With a win, the only two non-meet sports Oxford is participating in that will not have won a Championship in would be Football and Fast-Pitch Softball. Directions to Madison Central: Take either Highway 6/US-278 West towards Batesville or Highway 7 South towards Grenada. Take I-55 South towards Grenada/Jackson. Continue on I-55 South until reaching Exit 108. Turn right to Highway 463 North for 3/4 mile. Turn left onto Moss Rd. for 1/3 mile. Madison Central should be on the right. The Lowdown: Oxford has reached the North Half game for the fourth time in school history, however the Lady Chargers have never gotten past this round. Ridgeland was always the dominant powerhouse when it came to girls soccer. They have fallen back down to earth in the last few years. In fact, the team that beat them this year is this very Saltillo Lady Tiger team. Somebody from 2-5A will be in the 5A Title match, Oxford has home-field advantage, but if anyone has watched the previous two meetings between Oxford and Saltillo, it means nothing. Oxford lost 2-1 at home the last time these two teams met at Bobby Holcomb Field. However, the reason why Oxford has home field in the first place is because of a 2-0 win two weeks ago at Saltillo. The goal difference between the two schools is what allowed Oxford to play this game on their home field and not have to be on a bus to Saltillo's. For the record, for the North Half Championship game, it is played at the higher-seeded team's field, it was not based on the number of home games played. That is only true for the second round of the playoffs. The hosting rules is the same as it was for football. Saltillo has started to slip a bit defensively allowing five goals in their last six matches, of which three were to this Oxford team. They allowed seven in their first three before having a stretch of just allowing three goals over eight games. The thing that hinders Saltillo is their offensive output. 45 goals over 17 games, 2.65 goals a game, fewer than Germantown scored on average. I believe Germantown had a slightly tougher schedule as well (but that's to no fault of anybody). This will be tougher not just because of how deep in the playoffs both teams are, but because these two teams know each other very well. First to two goals can certainly win this, but don't be surprised if this ends up being 1-0. There is a trip to Madison on the line for both of these schools. Only one will make history tonight. For Oxford to Win, They Must: Maintain Possession - If Oxford keeps the ball, the chances will come with free kicks and open players. Oxford has scored 114 goals this season, they know how to score. Don't Allow Saltillo Chances On Offense - Oxford allows fewer goals on average than Salltillo. Oxford has allowed 17 in 23 matches vs. the 15 in 17 matches. Containing their offense like they did last time in Saltillo can do a lot for the Lady Chargers. Don't Stay On Your End - Saltillo cannot allow Oxford to be on their defending end all night. Saltillo needs to string passes together and do something on offense. Weather: At kickoff, Clear and 43*F (Wind Chill: 38*F / no chance for precipitation). Winds from the NNW at 8-12 MPH (Winds going towards the South End Zone) Temps to drop to the upper-30s by the end of the match. Wind Chills to drop to below freezing during the course of the match. Other Notes: If Oxford wins tonight, this will be their first trip to a State Title match in school history. O'Connor is two goals away from breaking the school record for goals scored in a single season. 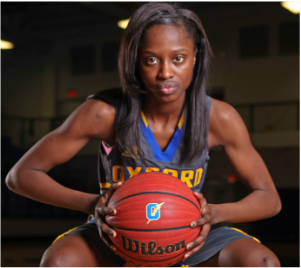 The Lowdown: I said during the Dandy Dozen reveal on this site that under new head coach Hunter Crane that Oxford should be better on offense than they were under defensive-minded coach Laura Flint. Result? Oxford has not been shutout this year, not one single time. The Oxford Lady Chargers have scored at least one goal in every single game this season. Even in the five losses Oxford has taken, at least one goal was scored. Oxford had a streak of 240+ minutes in the playoffs without scoring a goal prior to the Vicksburg game. Needless to say after the 9-0 win that it didn't take long to break that streak. This team has finally learned how to score, something that prevented this team from advancing in the playoffs the past few years. With the defense they still own - they have allowed just 16 goals in 22 games this season, that includes two games against the state's top goal scorer at their place no less - and the offense this team possesses having scored 112 goals this season (Oxford scored 100 goals in the last two seasons COMBINED), this is a team that will seriously threaten 5A. The defending 5A North Half Champion Lady Mavericks will have something to say about that first. It is worth noting that Oxford DOMINATED the match last year against Germantown, having tripled the shots taken than the Lady Mavericks did throughout the contest held in Germantown last year and was on the Lady Maverick end of the field the majority of the match. The inability for Oxford to score was the lone cause for Oxford not winning that match last year as they went down in penalty kicks. Germantown did not show much offense in that game. This is a different matchup than last year. Germantown did not look that impressive in the one game I saw them. They are 15-1 yes, but they are not that good on offense scoring under three goals a game, and Oxford defended Germantown to a shutout for 110 minutes the last time they played the Lady Mavericks. This is a rare good record that is quite deceiving to their glaring weakness. When Germantown has faced good offensive teams, they have allowed goals. Couple it with a good defense as well, they will have issues. Oxford's defense is just as if not better than Germantown's. Oxford's offense is much better than Germantown's this year. The focus of this match will be can Germantown keep Oxford out of the goal THIS time. I have my doubts with this game squarely on the Lady Chargers' minds after what happened last year. For Oxford to Win, They Must: Attack, Attack, Attack - If Oxford stays on Germantown's end this year, this will have a much different result. Oxford has a lot more confidence on offense than they have in the last few years. Goals have come a lot more easily. Stay a Stone Wall on Defense - One thing that has carried over is their defensive intensity when on Oxford's side of the field. Germantown won't have an easy time scoring against this defense. Can't Pull A Madison Central - Their one defeat was a 3-0 loss to Madison Central. They are excellent on offense and defense, like this Oxford team has turned into this year. They must keep Oxford out of the goal to have any chance at winning. Weather: At kickoff, 60*F and Mostly Sunny/Clear (no chance of rain). Winds from the South at 7-10 MPH (going towards the North End Zone). Temps to drop to the mid-50s by the end of the match. Other Notes: Oxford currently has a 312-minute long playoff streak without allowing a playoff goal (their last such allowed goal came in the first round against Center Hill in the 68th minute two years ago in a win). During the course of that streak, Oxford has lost two playoff games in a penalty kick shootout after going to a 0-0 tie in regulation and overtime against New Hope two years ago and against this very Germantown team last year. Oxford currently has a six-match shutout streak dating back to the regular season as well. If Oxford wins, they will host North Half regardless of opponent. The Lowdown: Boys Soccer advances to the second round of the playoffs for the first time under head coach Jonathan Branch and has won a playoff game for the first time since winning the State Championship back in 2013. Last year entering this matchup in the first round of the playoffs, Oxford came in limping. Gavin Douglas, Connell Yoste among others all got injured during the game that started off with a 1-0 lead ended up turning into a 3-1 loss as injuries and some questionable refereeing didn't help the cause. Everything mounted to not being able to overcome it. Oxford allowed three goals last year to Germantown in their playoff game, two coming off corner kicks (one was an own goal) and one off a free kick that came about because of a questionable call an assistant referee made that wasn't in his area. Regardless of how the calls came about, all three goals came off set pieces. That is something Oxford has had some trouble with this season such as against Lafayette where Oxford dominated but allowed two own goals off corner/free kicks to happen to tie the match and sent it to needless penalty kicks where Oxford did eventually win. Germantown has two forwards that can fly and cause trouble for defending teams. Oxford's back line must contain the two forwards from breaking free and having a clear shot on goal. Germantown will certainly try for the home run ball (long passes into the open) to score some of their goals. 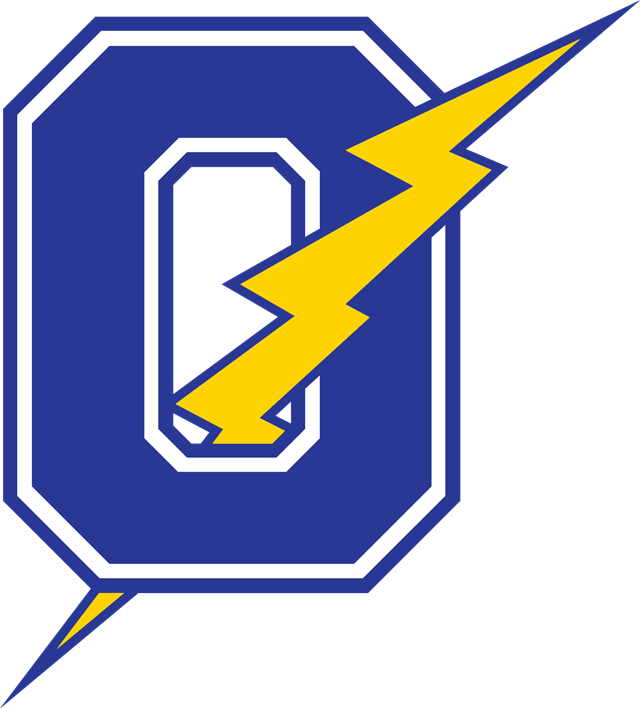 It will depend on how Oxford defends Germantown during the normal course of play and if the Chargers can defend set pieces close to their net. Oxford's offense found itself during the second half of the season and they are certainly on the right track, but the Mavericks have allowed 14 goals in 17 matches, so scoring won't be easy. The opportunities will come, it is a matter of Oxford capitalizing on them. For Oxford to Win, They Must: Not Have Nigel Knott Make A Second Appearance - By that I mean have a careless Charger turnover and Germantown break the other way, like during the Football game this past November when Knott made a pick-six. Germantown has great speed, it must be equalized by keeping possession and using that speed against them. Force Germantown to Make Lots of Passes - Making more passes means more chances to intercept the ball for Oxford. If Oxford allows the long ball, that means one thing: A Maverick Quick Strike. That is how Germantown more or less wants to score. Germantown's Forwards can outrun anybody. For Germantown to Win, They Must: Find A Way To Get the Ball to Their Forwards - If the Germantown two Forwards get the ball, they can certainly use their speed a at least attempt to dribble past the Oxford defenders. Pack the Box - Germantown uses a 4-4-2 front (4 defenders, 4 midfielders, 2 forwards). They will have at least nine defenders including the Keeper to defend with when Oxford makes an attack. That also means if Oxford gets a free/corner kick, it must be defended because that might be the best chance for the Chargers to score. Oxford scored its lone goal last year off such a kick. Weather: At kickoff, 51*F and Clear (no chance of rain). Light winds from the South at 3-5 MPH (going towards the North End Zone). Temps to drop to the mid-40s by the end of the match. Other Notes: Oxford lost 3-1 in Germantown last year in the playoffs. All goals in the match came off of free kicks or corner kicks. Oxford defeated Vicksburg 8-0 in the first round of the playoffs, their first playoff win since winning the State Title in 2013. The Lowdown: This team averages 22 points per game. To put that in comparison, Jarkel Joiner is scoring close to 30 a game. This is not a very good team in comparison to last year. They don't even have a roster listed on Maxpreps because they haven't won a game. This team should go two and done in the region tournament and be the team excluded from the playoffs. The Lowdown: One of two teams with a new first-year head coach in the region. Their record will not indicate how much they've improved from last year. I personally think their new head coach Chad Brown is a big reason. The players have been there for the Lady Trojans, but their coaching prohibited them from claiming a Gold Ball a couple years ago. They aren't talented this year, but they are heading in the right direction. Because of how bad Saltillo has been this year, they will get some playoff taste this year. They have been somewhat competitive in every game this season. The Lowdown: A team that has steadily improved in each of the past two years. This is the team that threatens to push Oxford off the region title. After this coming Friday night, West Point must travel to Oxford likely twice in front of their home crowd (as the region tournament is at Oxford this year) to claim the title. Their losses have been to Starkville and Tupelo. This team has also split a pair with Neshoba Central. Their biggest win is over a recent 5A Champion in Canton. Not bad considered who they scheduled. This is an above average team and can take the region from Oxford. The Lowdown: The other team with a first-year head coach in Cliff Ormon coming from Ripley who had outstanding seasons with the Tigers. Oxford is going into West Point after having beaten 14-2 New Site on the road and gave the Royals their first loss from a Mississippi team this season. This team has played a tough schedule themselves and their losses consist of a 13-1 Ridgeland team by three, two one-point losses to out-of-state competition from Georgia and Arkansas, and the crosstown loss to Lafayette. Oxford has also won games from out-of-state competition from Arkansas and Virginia. Oxford's defense will be tough to deal with and they are seen as the favorites by opponents until somebody takes this team down. The Lowdown: Saltillo already had a crazy season to this point. This team started 9-0, but trouble brewed in their game against Baldwyn. Several team members entered the stands as a fight aroused in the area, causing the suspension of several players that had caused them to drop five in a row. Word is they returned for the West Point game, but blew a lead they held all game long to start region play behind the 8-ball. We will see how this affects the Tigers as they begin region play. The Lowdown: West Point has had a roller coaster type of season as well (but in the competitive manner than the manner off the court). This team started 0-8, but like the Kansas City Chiefs, they are getting hot at the right time winning their last six. Who they played has helped in their 0-8 start (playing opponents such as Starkville and Tupelo). This team can compete scoring in the high 50s-low 60s, but their defense is suspect. They also roster just 10 players on Varsity (according to Maxpreps) so depth may be an issue as well. I do expect this team to compete as they are very well coached by coach Brad Cox. The Lowdown: This team is the favorite in 2-5A this year with a Dandy Dozen player on the team. Two of their three L's have come to Columbus who is making their case to be a huge threat in 6A this year. Through 14 games, this team has scored one point shy of 1,000 on the year. This team can roll offensively to hide whatever mistakes they have defensively. They will need to use defense if they want to get by defending regional champion Oxford this year on the Charger's court. The Lowdown: Oxford is prepared to take on the region. They've already taken on out-of-state foes this season and will play Cedar Ridge who has a player that is pretty close to Malik Newman this team has had to deal with in 5A the last four years. That type of player is what New Hope has as well so they will get to see a team similar to New Hope before they get to play them twice this season. Everyone knows the region runs through Oxford this year, having home court advantage for the region tournament. The other three teams will have to come to Oxford and take it from them if they want the region title. The real season starts Friday night for Oxford. Let's see how it plays out. The 2-5A Tournament is in Oxford this year.